Philippe Jacon joined Cepheid in January 2013. In his role of President, Emerging Markets, he leads the company development in developing and emerging countries, including our HBDC (High Burden and Developing Countries) program which aims at giving access to a number of our state-of- the-art molecular diagnostic tests (Xpert®MTB/Rif, Xpert®HIV-1 VL, Xpert® HIV Qual, Xpert® HCV, Xpert® HPV, etc.) to the populations in need, at concessional prices. All these tests are run on the polyvalent GeneXpert system, that will soon be extended with the new generation portable GeneXpert Omni, allowing further decentralization of molecular testing. Prior to Cepheid, Philippe Jacon hold the position of CEO of the Foundation for Innovative New Diagnostics (FIND)since October 2011. Philippe Jacon joined FIND from EDMA (European Diagnostic Manufacturers Association) where he acted as the Director General ad interim since March of 2011. Philippe is still on the Board and the Operating Management Committee of Medtech Europe. Prior to EDMA, he spent most of his career with BD (Becton Dickinson and Co) in various positions and locations. 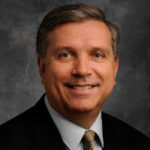 Most notably, he was Worldwide President of BD Diagnostics-Diagnostic Systems and Worldwide President of BD Diagnostics – Microbiology Systems both positions based in Baltimore, MD. Philippe Jacon has a Microbiologist Engineer degree from the Université de Bretagne Occidentale in France.